I was fortunate to be selected as winner over at Double ‘D’ and at Memory Box Challenges. Thanks so much for selecting my card. Today I have the pleasure of hosting the “All About Holidays” Challenge over at Watercooler Wednesday! This week I decided to make another Christmas card, but wanted something similar to a decoration. After sketching a moon shape, I used Distress Inks to make a night sky, then added some splatters of water as well as white paint. I finished with a light spray of glimmer mist. From there I cut the largest star from MFT Die-namics Star STAX from the middle of the card front. As I wanted a border, I cut a second from another sheet of card, measured around it and cut the slightly bigger frame and finished it with white Wink of Stella, to ensure it stands out. The scene was made using Memory Box – Evergreen Trio die and a hand cut hill. All had Wink of Stella added. The gold heat embossed sentiment is from Verve – Glad Tidings. I was happy with the way it turned out. Hopefully, you will find time to join in this week’s challenge. Don’t forget to check out the great Design Team cards over on our blog. Absolutely BEAUTIFUL Helen! Thanks so much for joining in the fun at our Double D ‘The Moon and the Stars’ challenge as well as the ‘You Are A Star’ challenge over at Dies R Us! Good Luck and we hope you’ll come back often. Thanks so much for your supportive comments, Darlene! I love to enter your challenges! This is so beautiful and perfectly CAS! Thanks for sharing it at ATSM this week! Thanks so much for your very supportive comments! What an enchanting Christmas card. That scene behind the bright star is amazing and it makes for a fabulous card. So simply classy. Thanks so much for playing in our ‘You are a STAR!’ challenge at Dies R Us as well as the ‘Moon and Stars’ challenge over at Double D.
I really appreciate your very supportive comments, Barbara! Helen, this is so lovely! The simple design with the amazing background you created looks so very elegant. Thanks for joining our Double D, “The Moon and The Stars” Challenge! Thanks so much for your very kind comments, Vicki! What a lovely scene you created in the pretty star shape. The sky background is gorgeous. Thanks so much for your very supportive comments, Carol! Simply brilliant Helen. Love the star shape and amazing background for those snow white trees. Gorgeous! Your so very kind, Ina! Thanks a lot! Cheers! Such a beautiful winter night sky, Helen! And putting this snowy forest scene inside a star frame is a brilliant idea! Thanks so much for sharing this with us at CAS Christmas! Gorgeous Christmas card, Helen! I love the effect of using your star to frame those beautiful trees and your lovely background! Thanks so much for your supportive comments, Barb! the star frame is such an interesting look, beautiful galaxy sky for your snowy trees. thanks for joining us at CAS Christmas. Thanks so much for your very kind comments, Christine! I love the background sky and simplicity of design. Beautiful. So glad you joined us at Die Cut Divas. This is such a beautiful Christmas card Helen! I love your night sky and snowy trees showing through the star shape. Very creative and beautiful design. Thanks for sharing with us at CAS Christmas! Thanks so much for your very supportive comments, Loll! I love the gorgeous night sky peeking from behind the white tri0 trees, Helen! The star window is a great idea. What a pretty card! The background is so lovely in your starry scene. Thanks so much for linking up to the DRU “You’re A Star” challenge. Best of luck to you! Thanks so much for your very kind comments, Birgit! Thanks very much for your very kind comments, Judy! Beautiful Christmas card! 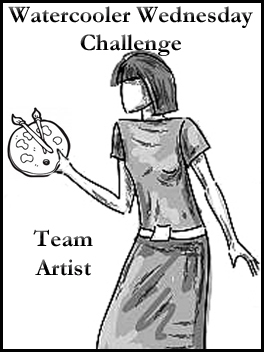 Thank you for playing along with us in the DIES R US challenge! Thanks so much for you very kind comments, Barabara! Lovely card. The background is gorgeous and I love the star-shaped window. Great to see you at the ATSM gallery. Looking forward to seeing you again soon. Nandini, DT. I really appreciate your very kind comments, Nandini!